In a recent article featured in The Remnant, Mr. Anger and a colleague have maintained that there is, circulating within some traditional Catholic circles, a false conception of Catholic Action. Insofar as part of Mr. Anger's thesis is substantiated by a hidden criticism of my organization, the Legion of St. Louis, I feel compelled to respond. Mr. Anger covers a lot of ground in his article, but there are some common themes which we can identify in his critique. I wish to look in detail at three themes which are central to Mr. Anger's position. Criticism 1: Catholics who like to speak of "action" and are energetic in proposing that Catholics focus on the Social Doctrine of the Church suffer from one or all of the following: the lack of a spiritual foundation for their activities, an insufficient emphasis on the supernatural, a failure to recognize that charity is the root of action, etc. (1) Judge not lest ye be judged. Mr. Anger's assumption is fundamentally judgmental: it passes judgment on the intentions of fellow Catholics, implying a judgment on the intentions of those who prefer to discuss action and are interested in finding an answer to the question, "What is to be done?" Mr. Anger's critique does not proceed according to this logic: "Mr. Jones never says his Rosary, he lets his children watch rated-R movies, he ignores the lives of the Saints, and constantly discusses armed insurrection." I would concede that such a hypothetical gentleman should be blamed; I wouldn't however concede that it should be the routine business of Catholics to seek out opportunities to pass judgments on our fellow Catholics' spiritual and personal lives. Rather Mr. Anger's line of argument seems to be that because some Catholics think that the problem — how can committed, convinced, sincere traditional Catholics affect their society and their temporal surroundings — is deserving of consideration, and because those Catholics are fond of pointing out how hard it is to save one's soul in a wholly anti-Catholic environment, they are by necessity lacking a Catholic conscience, and do not themselves possess a robust spiritual life. To so assume is unfair, unwarranted, and illogical. The result of Mr. Anger's position would be to put all active-minded Catholic laymen in the position of having to broadcast, at every turn, how holy they are, how they remember that no action can succeed without a solid spiritual life, etc., etc. Such a mindset, applied to every other walk of life, would lead to absurdity. Can I go to work every day, in order to feed my family, without being accused of "activism" because I don't leave my families empty stomachs solely in God's hands? In order to avoid the accusation of "naturalism" or an ignorance of the supernatural, do I have to announce, on my way into my office or workshop, that "I FULLY RECOGNIZE THAT MY WORKS AND ABILITIES ARE COMPLETELY GIFTS OF GOD, AND THAT I WOULD ACHIEVE NOTHING WERE I NOT FILLED WITH CHARITY!" Such a notion is ridiculous, and it is also ridiculous to accuse those who prefer to take some action to stem the tide of our eroding civilization, of being essentially opposed to the working of God's supernatural Grace and Providence, simply because the action they propose is, in fact, active! Jean Ousset points out, in a passage (which does not lend itself to criticism of these fabled "activists," and is therefore rarely cited) of his book Action, that God respects the causality of the world, and that He normally works not miracles but rather allows events to unfold according to the processes of history and time and human relations which He has established — a notion that demands that if we want results, after we have said our prayers, we must act. Far from manifesting a lack of divine justice, the constant progress of Subversion shows how God respects the causality of the world He has made, by not denying the normal fruit of their labours even to the impious. For if it is true, as Psalm III declares, that "the desire of sinners shall perish," it does not follow that their inescapable divine chastisement should be to the advantage of that army which has not fought, of those "Sons of Light" who have not shone, of the "good people" (as they think themselves) about whom Pius X has not hesitated to say that through their idleness and cowardice they are, more than all others, the sinews of Satan's reign. When the organization of the world is out of harmony with the supernatural end of man, scarcely anybody except the saints and martyrs can avoid mortal sin and abide in charity. But when the organization of the world is adjusted to the demands of the Divine Life of souls, then thousands of Christians can live and die in the love of God. They are strong enough to accomplish their duty in the company of others and to perform acts of heroic virtue at certain exceptional moments, but they would have been too weak to breast the frightful anti-supernatural current of a perverted naturalistic world. Charity, then, urges us to strive for the restoration of a Christian temporal order (emphasis mine). (2) Action vs. prayer. Mr. Anger's position seems to be based upon a presumed dichotomy between action and contemplation. The assumption seems to be that to discuss action is to devalue prayer. That to suggest action is to discourage prayer. That to emphasize the need for action is to implicitly de-emphasize the need for prayer. Such an implication is also illogical, unfair, and unprovable. (3) The operation of charity. Mr. Anger's position is perhaps a root of his misuse of the little word "by." He says, in the first paragraph of his article, that works of Catholic Action in the temporal order are accomplished by supernatural charity. The Thomistic position, the common-sense position, is, of course, that all actions properly performed by a Catholic are motivated and informed by charity, insofar as all actions are supposed to conduce ultimately to man's achievement of his last end, which is the Vision of God (Summa Theologica, II, ii, Q 23, Art. 7). So any time I perform any action which is moral, the action approaches perfection insofar as it is a means to my ultimate end, which is the attainment of Heaven. Thus my actions are inspired by, or motivated by, or, as St. Thomas puts it (II, ii, Q. 23, Art. 8) informed by charity; for this reason does he call charity the form of the virtues. But by suggesting that the works of Catholic Action are accomplished by supernatural charity, implying almost that charity itself is an action, Mr. Anger seems to suggest that works which are directly supernatural or have a strictly supernatural aim (such as prayer, fasting, sacrifice, etc., which have as their direct aim the sanctification of souls, rather than temporal activity which pursues man's last end indirectly) are the real or essential works of Catholic Action. Thus those who emphasize that Catholic Action is composed, principally, of social or temporal activities are somehow wrong and guilty of putting the cart before the horse. This error is a significant one. Not only does it provide the basis for his implication that those who talk of action are anti-spiritual and misconstrue Catholic Action, but it seems to miss the entire point of the Church's Social doctrine, which we will review in brief. Since the beatitude of heaven is the end of that virtuous life which we live at present, it pertains to the king's office to promote the good life of the multitude in such a way as to make it suitable for the attainment of heavenly happiness, that is to say he should command those things which lead to the happiness of Heaven and, as far as possible, forbid the contrary (On Kingship, 115). Therefore, the preoccupation that some Catholics have (myself included) regarding the nature and makeup of the social order is wholly rational and defensible. And to propose to remedy the situation by an efficacious application of the Church's Social Doctrine, through the concerted efforts of men correctly formed with the Church's Teaching on politics, economics, and society, seems not anti-supernatural, but rather overwhelmingly supernatural, since it implies a willingness to labor and to sacrifice so that all of us may more securely proceed to our eternal destiny. Such, at any rate, is the teaching of the Church. (4) The two swords. Lastly, Mr. Anger's suggestion that the "activists" are necessarily anti- (or insufficiently) supernatural or spiritual seems to violate a principle which he expresses elsewhere in his article: the necessity of distinguishing between the spiritual and temporal powers. 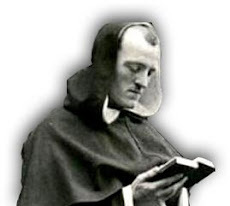 Those who take it upon themselves to discuss with other laymen the need for study and action in the area of the Social Doctrine are rightly reminded that they should nourish and encourage robust spiritual lives; consciousness of that spiritual duty, however, does not make them retreat-masters. The avoidance of dishing out volumes spiritual advice by those who propose social and cultural action seems to me to be a sign of wisdom: an understanding that there is a whole class of individuals more properly equipped and divinely appointed to do just that: the clerics. Failure to lecture one's fellow laymen on the spiritual life — barring the admitted usefulness of casual and informal discussions, periodic "reminders," and clear statements of understanding that the spiritual life is essential — can hardly be a smoking gun which reveals a hidden desire to spread a heretical activism and encourage ignorance of the spiritual life. It is, rather, a display of a proper respect for the division of the two powers, temporal and spiritual, and a wholly appropriate humility in not nit-picking the details of a fellow layman's personal habits by which he strives to save his soul. To summarize: it is logical to contemplate the use of temporal means to achieve a temporal end. If we are hungry, we eat, not pray. We pray before we eat, just like we should pray before going into a battle of any kind (intellectual, physical, etc.). But to suggest that going into battle is anti-spiritual or anti-supernatural because it is not only supernatural is as ridiculous as suggesting that eating is anti-supernatural because it is not wholly spiritual. One may be permitted to wonder what degree of spirituality need be on display to satisfy the critics that Catholics interested in action do not therefore despise prayer ("O God, I give thee thanks that I am not as the rest of men..." St. Luke, xviii:2). Criticism 2. People who demand that Catholics rouse themselves to action are simply seeking an "alternative radicalism" and an outlet for shady or inappropriate political activities, motivated by an "anti-government" spirit. Under this criticism come two points which should be tackled separately: (1) the "activists" criticize the modern world too much, and dwell to heavily on its evils (which are always present in every era anyway), and thus they (2) tend to develop an anti-government mentality. Now, we may be able to debate, amicably and constructively, what means are best instituted to restore society to such a condition, but to suggest that the Social Doctrine is not in more vital need of implementation today then in times past is to state an untruth. Yes, Archbishop Levebvre did remind us we can err in the pursuit of virtue; and those errors should be avoided like every other error. But this same Archbishop wrote an entire book lamenting the social and public dethronement of Christ the King, in which he said that "Our Lord wants souls to be saved, doubtless indirectly, but effectively, through a Christian civil society, fully submissive to the Gospel, which lends itself to His redeeming design, which will be the temporal instrument for this." 4 No doubt Cardinal Pie, the 19th-century Bishop of Poitiers and anti-liberal crusader, who called the dethronement of Christ a crime against which "we should never cease to protest," would have objected to the notion that we should tone-down our objection to the modern world's apostasy and its essential incompatibility with the Faith. I am all in favor of keeping our denunciations rational, balanced, and tactful. But I know of no advocate of an "active" (as opposed to one strictly "spiritual") Catholic Action that would object to those limitations. Perhaps where I differ with Mr. Anger is in my assessment that still today, within the ranks of traditional Catholicism, I am apt to run into any number of people who seem to think that having a Mass to attend, food to eat, and a "9 to 5" job, means that, all in all, things are great. Not that those aren't things to be grateful for. By all means they are. But such a mentality — with which it is certainly possible to use the Faith and the sacraments to struggle towards Heaven — tends to encourage a Catholic schizophrenia which separates the religious and personal life that one can eke out at home, from the public and social life that one is forced to live outside it. We "activists" are accused of wanting to isolate ourselves from society, of wanting to adopt a "survivalist" mentality, and yet I can imagine no mindset which is better calculated to produce disembodied Catholics, which are cut off from the realities of the world, than that which insists on a naïve "focus on the positive" kind of attitude. Because almost every aspect of society with which we come into contact on a day to day basis is radically out of order in light of the Divine Plan, and is almost incomprehensible to a Catholic absent a serious study of both "what's wrong with the world" and what would make it right. I can imagine no better way to fail in preparing our children to eventually face, understand, and react to the realities of a world outside the Catholic home which is anti-Catholic, perverse, and radically incompatible with the Christian notion of society, than to discourage a critical and honest assessment of our modern society. If, then, a political government strives after external advantages only, and the achievement of a cultured and prosperous life; if, in administering public affairs, it is wont to put God aside, and show no solicitude for the upholding of moral law, it deflects woefully from its right course and from the injunctions of nature; nor should it be accounted as a society or a community of men, but only as the deceitful imitation or appearance of a society (Sapientia Christianae (1890), 2). Within traditional Catholic circles, one can find apologists for Austrian (read liberal) economics, enemies of the widespread distribution of property, apologists for the U.S. government's lawless "war on terror," and a host of others who, no doubt with the best of intentions, defend positions, behaviors, and aspects of the modern world which are indefensible when judged against, to use Ousset's phrase, the natural and Christian law. All of these things are not only contrary to the temporal common good of modern nations, but they also militate against the spirit which should prevail within society — that spirit which, as we have noted, is supposed to be a help toward salvation. Modern capitalism tells the citizen that the purpose of life is profit; it ensures that man remains a perpetual employee, rather than helping him to become an owner, which would allow him to flourish not as a robot but as a laborer imbued with the Catholic spirit of work. The foreign policy of the most powerful government in the world is without scruple in its willingness to kill and maim to maintain that system along with the corresponding liberal ideology. Is it really heretical "naturalism" or "activism" which leads some Catholics to denounce vigorously the social manifestation of intellectual errors which contravene the natural law and oppose the tenets of the Faith — errors which Pius XI referred to as "social and juridical modernism," and which he condemned "no less decidedly" than religious modernism? If the propagation of good and the necessity of combating evil require the employment of terms somewhat harsh against error and its supporters, this usage is certainly not against charity. This is a corollary or consequence of the principle we have just demonstrated. We must render evil odious and detestable. We cannot attain this result without pointing out the dangers of evil, without showing how and why it is odious, detestable and contemptible. Christian oratory of all ages has ever employed the most vigorous and emphatic rhetoric in the arsenal of human speech against impiety. In the writings of the great athletes of Christianity the usage of irony, imprecation, execration and of the most crushing epithets is continual. Hence the only law is the opportunity and the truth. But there is another justification for such an usage. Popular propagation and apologetics cannot preserve elegant and constrained academic forms. In order to convince the people we must speak to their heart and their imagination which can only be touched by ardent, brilliant, and impassioned language. To be impassioned is not to be reprehensible, when our heat is the holy ardor of truth. ...St. John the Baptist calls the Pharisees "race of vipers," Jesus Christ, our Divine Savior, hurls at them the epithets "hypocrites, whitened sepulchers, a perverse and adulterous generation" without thinking for this reason that He sullies the sanctity of His benevolent speech. St. Paul criticizes the schismatic Cretins (110) as "always liars, evil beasts, slothful bellies." The same apostle calls Elymas the magician "seducer, full of guile and deceit, child of the Devil, enemy of all justice." ...What shall we say of St. John Chrysostom? His famous invective against Eutropius is not comparable, in its personal (111) and aggressive character, to the cruel invectives of Cicero against Catiline and against Verres! The gentle St. Bernard did not honey his words when he attacked the enemies of the faith. Addressing Arnold of Brescia, the great Liberal agitator of his times, he calls him in all his letters "seducer, vase of injuries, scorpion, cruel wolf." The pacific St. Thomas of Aquinas forgets the calm of his cold syllogisms when he hurls his violent apostrophe against William of St. Amour and his disciples: "Enemies of God," he cries out, "ministers of the Devil, members of AntiChrist, ignorami, perverts, reprobates!" Never did the illustrious Louis Veuillot speak so boldly. Thus speaks the eminent Fr. Felix Sarda y Salvany, in Liberalism is a Sin, Chapter 20. (2) The "anti-government" spirit. From the willingness of certain Catholics to remind their fellows of the evils of modern society, and of how and where that society fails to live up to what the Church demands, supposedly follows a spirit of disobedience and lawlessness toward lawful authority: the dreaded "anti-government" spirit. Evidence of this spirit is apparently found in the desire of some Catholics to isolate themselves from the mainstream, to more easily preserve their Faith and minimize the influence of anti-Catholic society. Fr. Sarda seems to think that this is not a bad idea: "The first thing to do in an infected country is to isolate oneself, and if this is not possible, take all sanitary precautions against the deadly germ. Spiritual health is always endangered whenever we come into contact with Liberalism, and infection is almost certain if we neglect those precautions which prudence suggests" (Chapter 17, Liberalism is a Sin). In this country of allegedly un-precedented personal freedoms, is it not licit and wholly allowable under positive law to buy a plot of land away from the immorality, the smog, and the cable TV of the modern suburbs? Are we to expect that the Amish will be massacred or rounded up for their refusal to play the "suburban" game? And if they were, would it be their own fault for not capitulating to WalMart and rock music? Such a "Flee to the Fields" may not be an approach that suits everyone, but insofar as everyone from Richard Weaver to Mgr. Williamson to Archbishop Levebvre to Fr. Fahey to Fr. Vincent McNabb and more have praised initiatives, either speculative or practical, to return the modern family to the land, what grounds is there for suspecting of subversion and rebellion the men who contemplate this as a possible course of action? Such a suspicion, I submit, is unfair, unfounded, and untenable. The frequency and power of crime have blunted Christian sensibility, even alas! among Christians. Not only as men, but as Christians, they do not react, do not leap to their feet. How can they feel themselves to be Christians if they are insensitive to the wounds which are being inflicted on Christianity. Life shows its existence by the sensation of pain, by the vivacity (an expressive word) by which it reacts to a wound, by the promptness and vigor of the reaction. In the midst of rottenness and decomposition there is no reaction (quoted by Ousset in Action). To demand that Catholics turn off their natural and healthy instincts to oppose and abhor injustice when they see it, their desire to root out corruption and abuse from the civil order, and to replace it — lawfully and legitimately — with justice, mercy, and competence is to once again condemn them to a fantasy land of the utopian Catholic home full of a potential army of recruits for Catholic Action who are potentially doomed to entering the public sphere without a coherent vision both of what they want, and of what they don't want. Criticism 3: Catholic Action is not political. The last of Mr. Anger's major objections to an "active" Catholic Action seems to be based on the notion that Catholic Action should not seek to achieve its aims based on temporal, political activity, but on a supernatural or spiritual activity. This criticism is not altogether clear, however, for it is never stated quite as simply as we have summarized it. There are several possible interpretations, all of which warrant responses. (1) A lack of supernatural perspective? 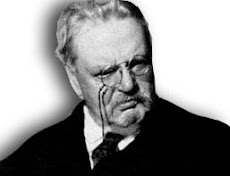 If his complaint is that the active-minded men who are attracted to Catholic Action for its potential to engage and transform the social order tend to see things with a strictly temporal or natural — as opposed to spiritual or supernatural — viewpoint, then the answer is that if this were true, it is a valid point; but I don't think that it is true. All serious Catholics know that life is a mysterious mixture of Divine Providence and free will, and that Divine Providence will not magically drop into our laps what we might have accomplished through His power by using our free wills. Sr. Lucia knew that: "Prayer does not dispense from action." 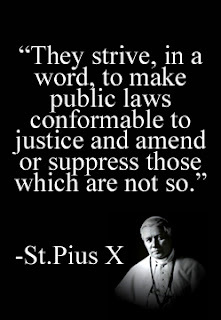 St. Pius X knew it, for he deplored the "cowardice and weakness of good men." 5 Jean Ousset knew it. Serious Catholics know, furthermore, as a matter of Faith, that whenever they do a good work, it is Christ that works through them, and God is responsible for having accomplished it. To accuse a Catholic of not believing that is to accuse him of heresy. That's an accusation which is not to be made lightly, and in this case I think it's an accusation that doesn't stick. ...you clearly see, Venerable Brethren, the services rendered to the Church by those chosen bands of Catholics who aim to unite all their forces in combating anti Christian civilization by every just and lawful means. They use every means in repairing the serious disorders caused by it. They seek to restore Jesus Christ to the family, the school and society by re-establishing the principle that human authority represents the authority of God. They take to heart the interests of the people, especially those of the working and agricultural classes, not only by inculcating in the hearts of everybody a true religious spirit (the only true fount of consolation among the troubles of this life) but also by endeavoring to dry their tears, to alleviate their sufferings, and to improve their economic condition by wise measures. They strive, in a word, to make public laws conformable to justice and amend or suppress those which are not so. Finally, they defend and support in a true Catholic spirit the rights of God in all things and the no less sacred rights of the Church. It should be obvious from the above that Catholic Action refers, in its specific sense, to the activities of the laity to shape society according to the dictates of the Faith — to the restoration of "Christian civilization in each and every one of the elements composing it;" 8 to making "public laws conformable to justice and amend[ing] or suppress[ing] those which are not so;" to "combating anti-Christian civilization by every just and lawful means." A modern, orthodox cleric has defended this interpretation. In a conference on "Supplied Jurisdiction and Traditional Priests," 9 Mgr. Tissier de Mallerais has pointed out that works which are "a participation in the priestly ministry on the part of the laity" do not constitute "a movement of Catholic Action in the strict sense of the word." He goes on to say that "Catholic Action understood as a work of the laity in the temporal order, so as to bring about the reign of Christian social principles in the State...is this which St. Pius X strove especially to promote, and which can be called Catholic Action in the strict sense of the term" (emphasis mine). Finally, it is worth noting in passing that Ousset's book Action, an authority on the subject of Catholic Action which Mr. Anger evidently recognizes, is essentially and only about action in the temporal order. (3) The authority of the clergy. Related to Mr. Anger's notion of Catholic Action as an apostolate "fundamentally religious" is his reminder that the authority of the clergy over the action of the laity must not be considered as "insignificant" or "optional." True enough. Though there can be no doubt that misconceptions of Catholic Action will lead to misconceptions of clerical authority. Those who fail to see Catholic Action the way Mr. Anger does (in the properly "spiritual" light), will no doubt merit the criticism that they do not sufficiently respect clerical authority. That a continuum of action and authority (i.e., spiritual vs. temporal action, corresponding to direct vs. indirect authority) exists is attested to by Mgr. 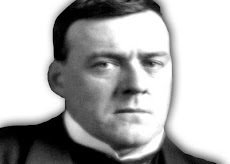 Tissier de Mallerais: the more strictly "spiritual" an activity is, the more directly it falls under the direct supervision and control of the hierarchy; the more "temporal" it is, the more "tenuous" is the link with the clergy.10 But it is worth noting that the definitions above, given by both St. Pius X and the Bishop, clearly indicate that Catholic Action refers to the temporal activity of the laity to implement Christian Social Principles in the State. While the statement of Ousset that Mr. Anger cites is no doubt true — that the Christian layman has "an imperative duty to follow the teaching of the spiritual power of the Church," it is no less true that, again according to Ousset, "the priest's essential task is to teach sound doctrine, not to implement it." A personal digression — the Legion of St. Louis. Under the guise of making his point that Catholic Action is not political, Mr. Anger attacks a statement which occurs in the Vision statement of my Legion of St. Louis. I respond publicly to his criticism because he has at no time initiated a private correspondence on this issue which would have given me the opportunity to respond privately. His issue is with my use, in the Legion's Vision statement, of the phrase "prudent yet real ideological and political war," a phrase which results from allegedly "blurry thinking" and "naïveté." What then is our sphere of action as lay people? What are our rights concerning action in the temporal sphere? Have we a right to engage in it without a "mandate," without being under the direction of the clergy? The truth is that an ecclesiastical mandate is unnecessary to allow a layman to exercise a right, still less to accomplish an elementary duty of his life as a layman, such as to marry, bring up children, practice a profession, play his part as a citizen or serve his country in a Christian fashion. It would be quite monstrous to suggest that his being a Christian should result in the restriction of a person's freedom to exercise his rights and comply with his most elementary duties as a Christian. If the Legion is "political" in Mr. Anger's eyes, that may make it "off-limits" for Catholics with his particular vision of Catholic Action; it would remain, however, a licit vehicle through which Catholics can take action in defense of what remains of Christian society. (2) An examination of the facts reveals, however, that the Legion is very much organized in a way consistent with the teaching of the Church on Catholic Action. As we have noted, Catholic Action strictly speaking refers to the activities of the laity in the temporal order for the implementation of Catholic Social Doctrine. The Legion is political insofar as it works for an objective intimately connected with the temporal common good of the nation: "the permeation of society with the Faith, the molding of the Social Order according to Catholic Truth, and the reestablishment of temporal authority in its proper place in submission to, not triumph over, Our Lord" (from the Vision Statement). This aim is obviously consistent with Mgr. Tissier's notion of Catholic Action as "a work of the laity in the temporal order, so as to bring about the reign of Christian social principles in the State," and it falls under the goal which Fr. Fahey called "the province of Catholic Action": "to assimilate and promote the realization of Catholic political and economic doctrine." If Mr. Anger took the term "politics" in the statement which he quoted ("prudent yet real ideological and political war") as a reference to partisan or party struggles, he must have missed (unintentionally, no doubt) the footnote which is printed with the Vision Statement, and which references the term "political" as follows: "(1) By 'political' we mean public and social, not participation in our modern two-party farce." So "political" is a simple adjective which indicates that our combat is for the social order, for the public good. Not political insofar as political means partisan or attached to a party. Mr. Anger obviously missed that fact. (3) Mr. Anger also objects to my use of the term "ideological," as implying anti-Catholic and Revolutionary notions. The context in which such a phrase is used should dispel any doubt, but perhaps even more relevant is the fact that we use the word in the most common way for common Catholics. Webster's says that an "ideology" is "a systematic body of concepts, esp. about human life or culture" and "the integrated assertions, theories, and aims that constitute a socio-political program." It cannot be denied that Catholics have a clear notion of the purpose of life on earth, along with a socio-political program to implement, in order to make society conform to that purpose. Thus it is that we refer to an "ideological" struggle, for our efforts are nothing other than to make the program of the Catholic Church, the complete and integral Divine Plan for Order, as Fr. Fahey called it, better known, more thoroughly understood, and more deeply appreciated by Catholics and men of good will, that it might ultimately rise over its "ideological opponents" and impart its character and tone to the organization of society. (4) A final point. Insofar as priestly guidance is necessary, at least indirectly, for Catholics in Catholic Action, I merely point out that Mr. Anger has not the slightest idea what kind of clerical oversight the Legion possesses, and is grossly out of line in suggesting that we are "lacking priestly guidance." This is yet another hint of the tendency to be "judgmental" when it is hardly called for. ...one must have divine grace, and the apostle receives it only if he is united to Christ. Only when he has formed Jesus Christ in himself shall he more easily be able to restore Him to the family and society. Therefore, all who are called upon to direct or dedicate themselves to the Catholic cause, must be sound Catholics, firm in faith, solidly instructed in religious matters, truly submissive to the Church and especially to this supreme Apostolic See and the Vicar of Jesus Christ. They must be men of real piety, of manly virtue, and of a life so chaste and fearless that they will be a guiding example to all others. If they are not so formed it will be difficult to arouse others to do good and practically impossible to act with a good intention. The strength needed to persevere in continually bearing the weariness of every true apostolate will fail. The calumnies of enemies, the coldness and frightfully little cooperation of even good men, sometimes even the jealousy of friends and fellow workers (excusable, undoubtedly, on account of the weakness of human nature, but also harmful and a cause of discord, offense and quarrels) — all these will weaken the apostle who lacks divine grace. Only virtue, patient and firm and at the same time mild and tender, can remove or diminish these difficulties in such a way that the works undertaken by Catholic forces will not be compromised. The will of God, Saint Peter wrote the early Christians, is that by your good works you silence the foolish. "For such is the will of God, that by doing good you should put to silence the ignorance of foolish men."